The Port of Rotterdam has witnessed another big jump in LNG bunker sales, the Port Authority's latest numbers show. Sales for Q4 grew some 36% over the previous quarter to 4,309 tonnes taking total sales for 2018 to 9,500 tonnes. This is a significant increase on the 1,500 tonnes sold in 2017 and 100 tonnes sold in 2016. 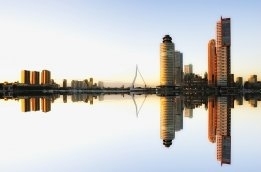 "These days, LNG bunkering in Rotterdam is business as usual. As well as Titan LNG, Shell and Anthony Veder have now also registered as LNG bunker specialists in the Rotterdam port," to Port says. "The Port Authority is expecting to have ten suppliers within five years and a considerable increase in LNG bunkering." Total sales of traditional bunkers at the port for 2018, excluding lubes, was 9.38 million m3.